A resume is the best document you must show potential employers what you can do. Employers typically only glance at resumes briefly and — in a matter of seconds — make up their minds about whether to look further into what you are offering or toss your resume on the reject pile. You want to maximize the chances your resume will help you move forward in the application process, which means your resume needs to be great one. 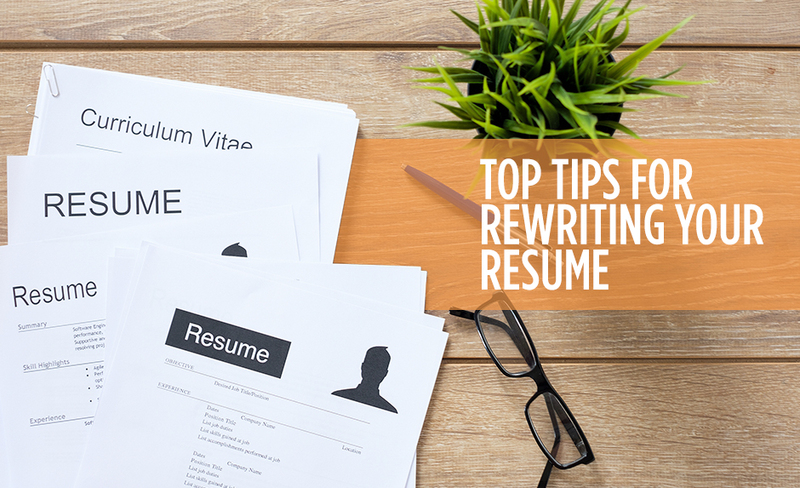 Make sure the resume format makes sense: Most people just put their resume in chronological order. This is not always the best approach if you have not had many jobs but if you have a lot of diverse skills. A skills-based resume is an alternative to a chronological resume that allows you to set-up your resume based on your skills rather than the jobs you’ve held. You can make sure your experience is emphasized with this format if your employment history is short. Eliminate unnecessary information: Your resume should sell you as the ideal candidate for a specific job. If you have irrelevant past work on your resume, this is just a distraction. Clean up your resume so you’re only listing jobs and skills that are relevant to the positions for which you are applying. Customize your resume to each job you apply for: You don’t want to send a generic resume if you hope to get hired. Your resume should be customized so the hiring manager can quickly see you have the skills they are looking for when hiring for an open position. Eastridge Workforce Solutions can help you get your resume in front of the right people, so you can maximize the chances of being hired by a company where you would be a great fit. To find out more about how our staffing service can help you find the job of your dreams, give us a call today.